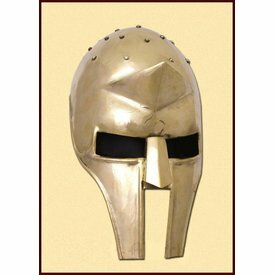 This helmet is made after the helmet worn by Russel Crowe in the movie Gladiator. 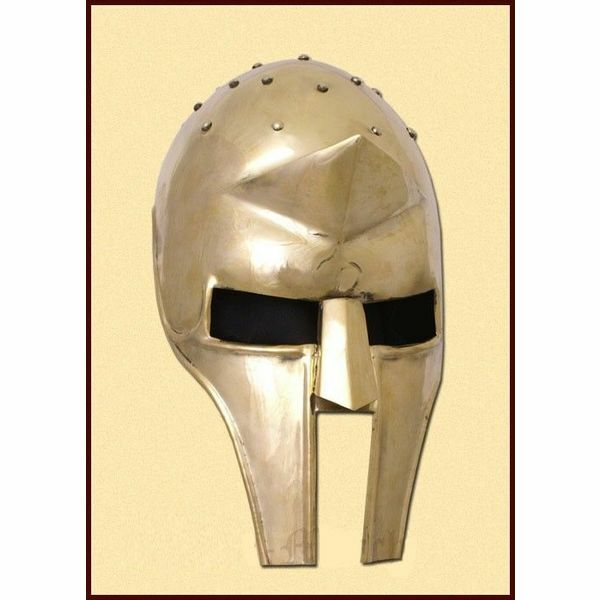 It is lightly based on the Greek Corinthian helmet. 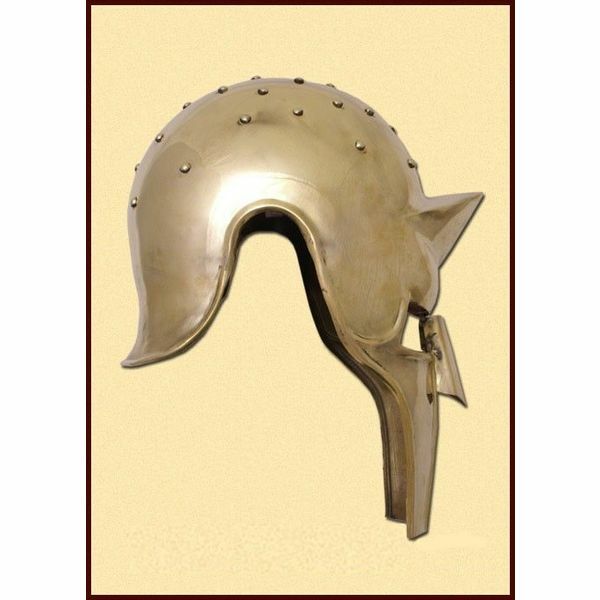 This helmet is made of 1,2 mm thick steel and is perfectly suited for LARP or theatre. It is delivered including a leather inlay and is suitable for a head circumference up to 61 cm.